-	Holland Betta Show 2010: 265 showbettas by 26 breeders of 7 European countries. -	Holland Betta Show 2011: 308 showbettas by 36 breeders of 6 European countries. -	Holland Betta Show 2012: 308 showbettas by 36 breeders of 7 European countries. 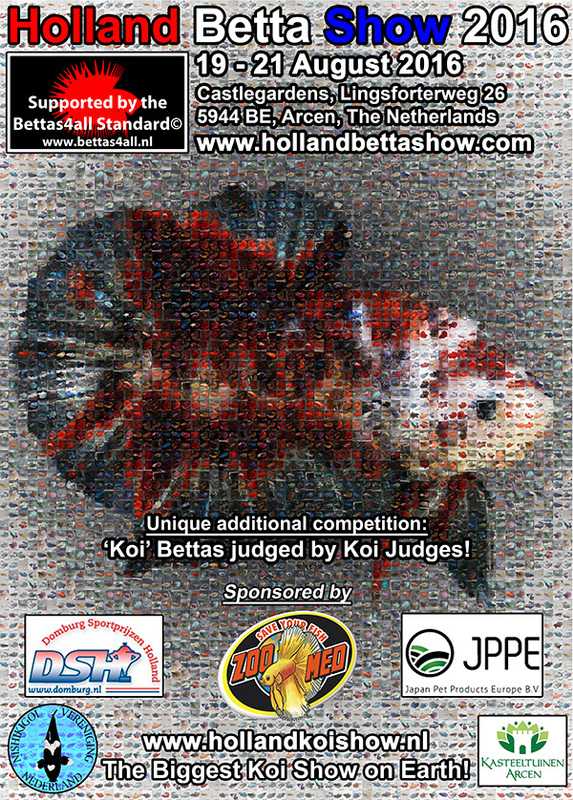 -	Holland Betta Show 2013: 308 showbettas by 36 breeders of 9 European countries. -	Holland Betta Show 2014: 308 showbettas by 34 breeders of 12 European countries. -	Holland Betta Show 2015: 308 showbettas by 45 breeders of 14 European countries. Awsome! I can book the flight now! Would be great to have you with us Liviu and Mihai ! !